to create magic like this? your cat or dog to make them beautiful! 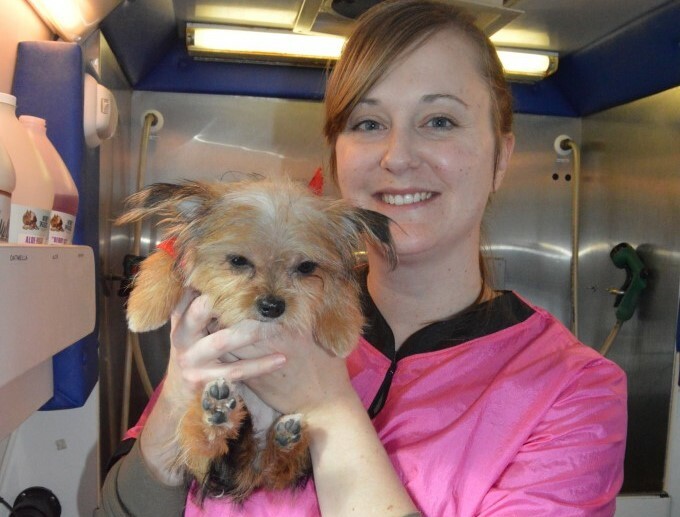 Our grooming staff look forward to bringing our mobile grooming to your fur baby! 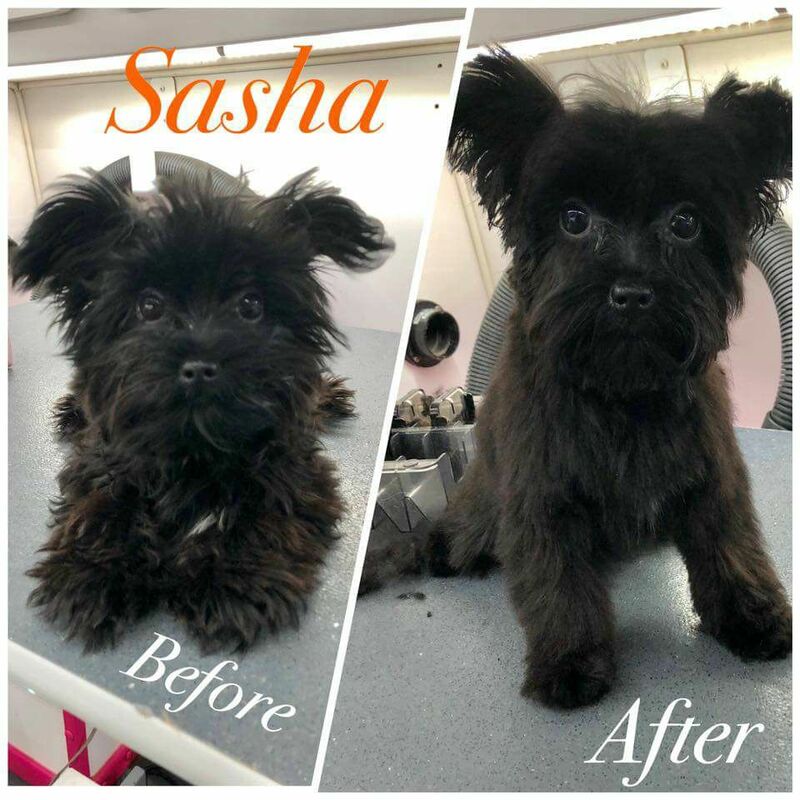 Our groomers bring a full service experience to your door, and look forward to helping transform your pet to their most beautiful self. 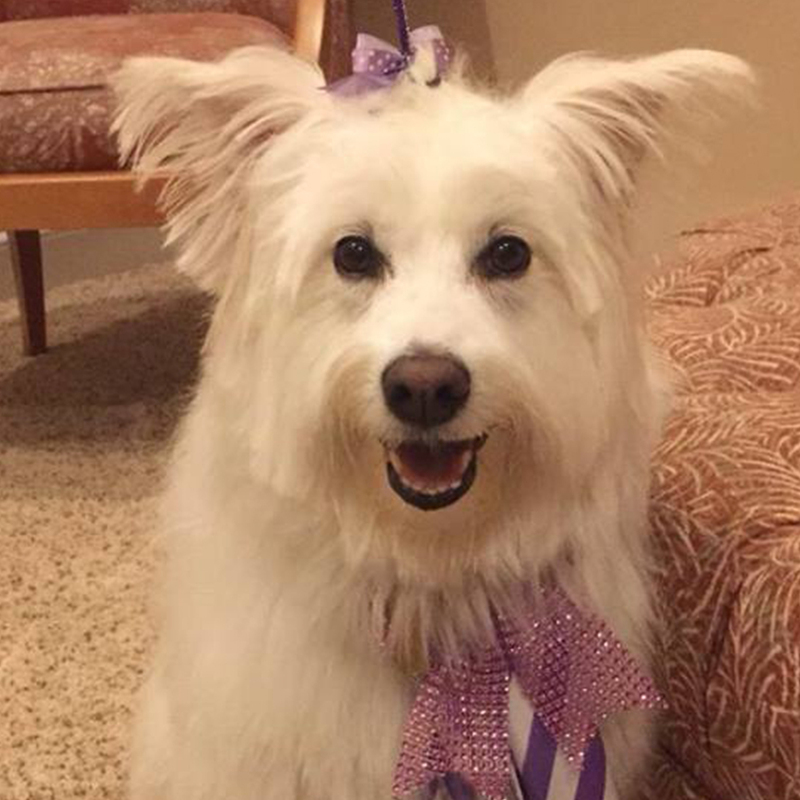 Grooming, cleaning ears, and trimming nails are important ways to help keep your pet healthy and happy. First we meet you and your pet and let them know what is going to happen. 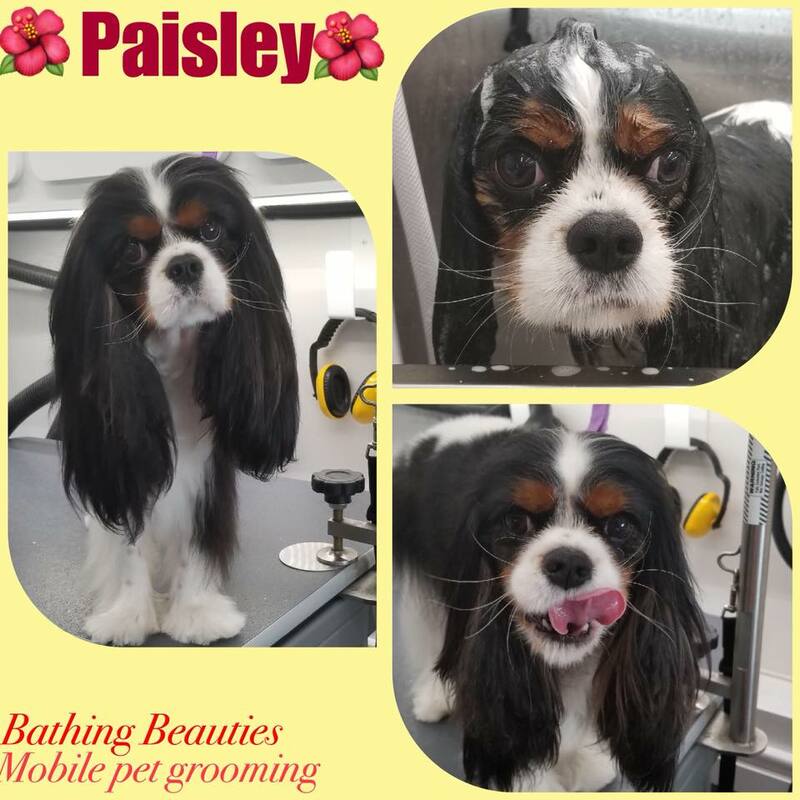 We give them loving pets, assess their skin and coat, and discuss how you would like their hair. And then we begin! 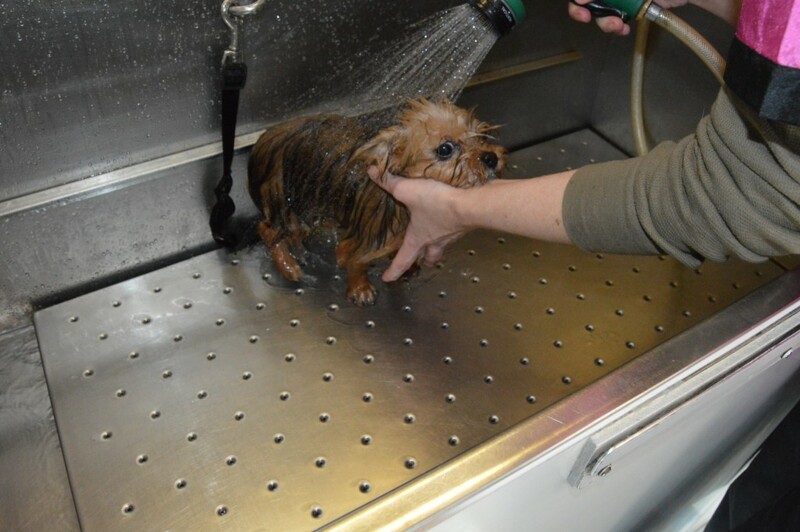 We wash our pups with the finest soap-free shampoos. Why soap-free? Dogs’ skin depend on oil for protection. 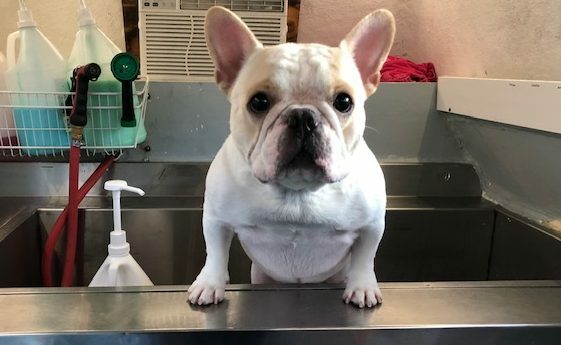 These shampoos not only clean the pet but help prevent them from drying out or getting itchy or flaky a few weeks after their bath. We have a great line of shampoos for different coats including. See the products we use page for a complete list. We first put a soft headband around their ears, or cotton rounds gently at the outer openings of their ears – consider them pup muffs. This protects their sensitive ears to the sound of the dryer. The groomers begin working their magic. 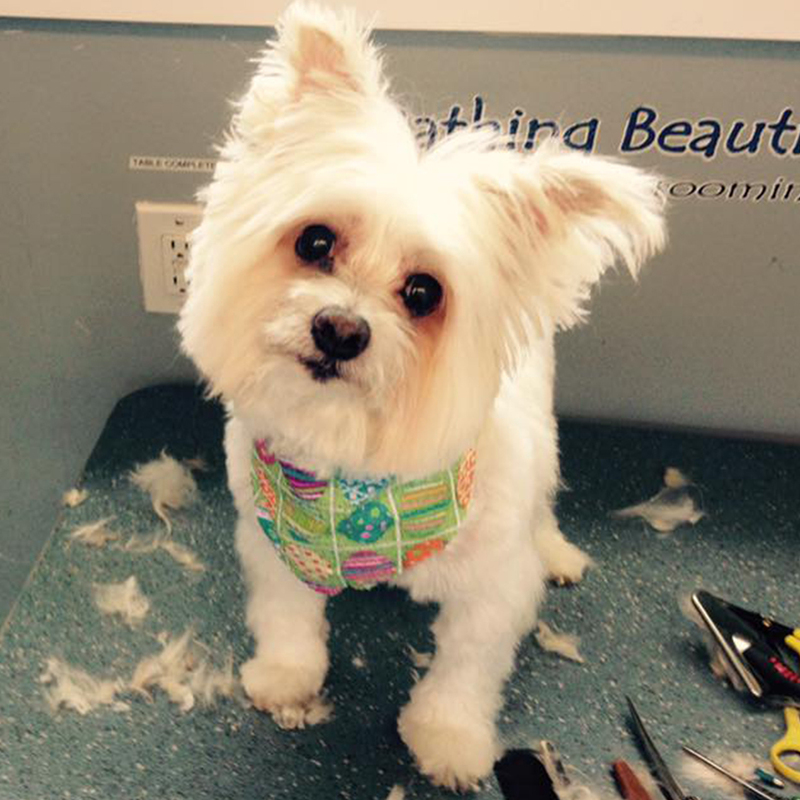 Using a variety of sheers or clippers our groomers work to help let your pets’ beauty shine! 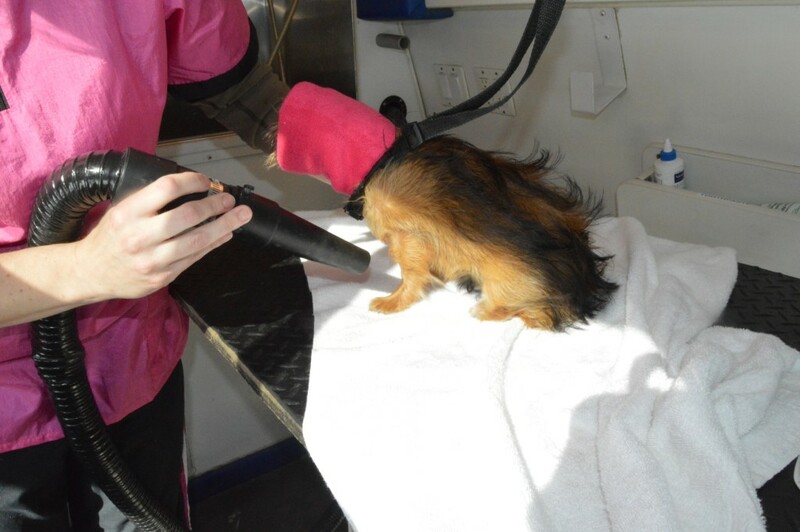 They are all important parts that we assess and keep clean when grooming. We clean the ears, clip the nails, and brush the teeth. 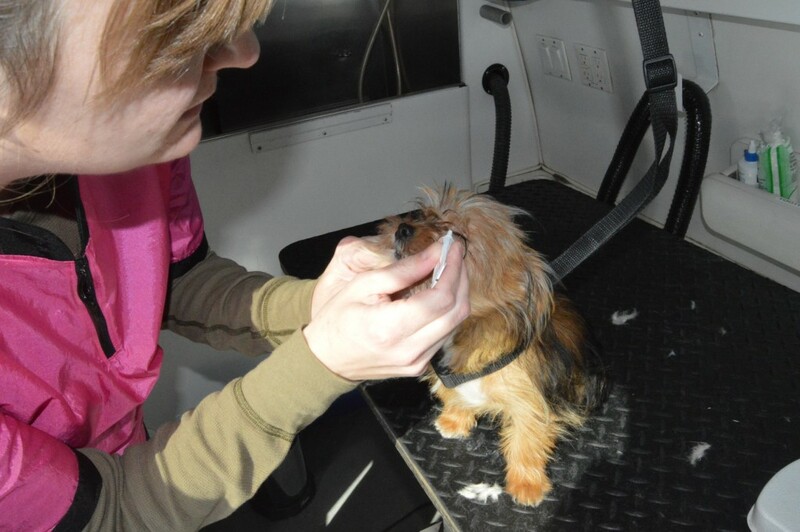 They even get to keep their own toothbrush courtesy of our friends at HousePaws Mobile Veterinary Service! As an additional service to your pets mani and pedi, we can also can grind your pet’s nails for rounded edges so they are nice and smooth. We don’t pluck ears at Bathing Beauties, we clip them. Plucking is an age old practice groomers do; however, we now know ripping out hair hurts AND causes inflammation which can lead to post grooming ear infections. Only the best for your fur baby! 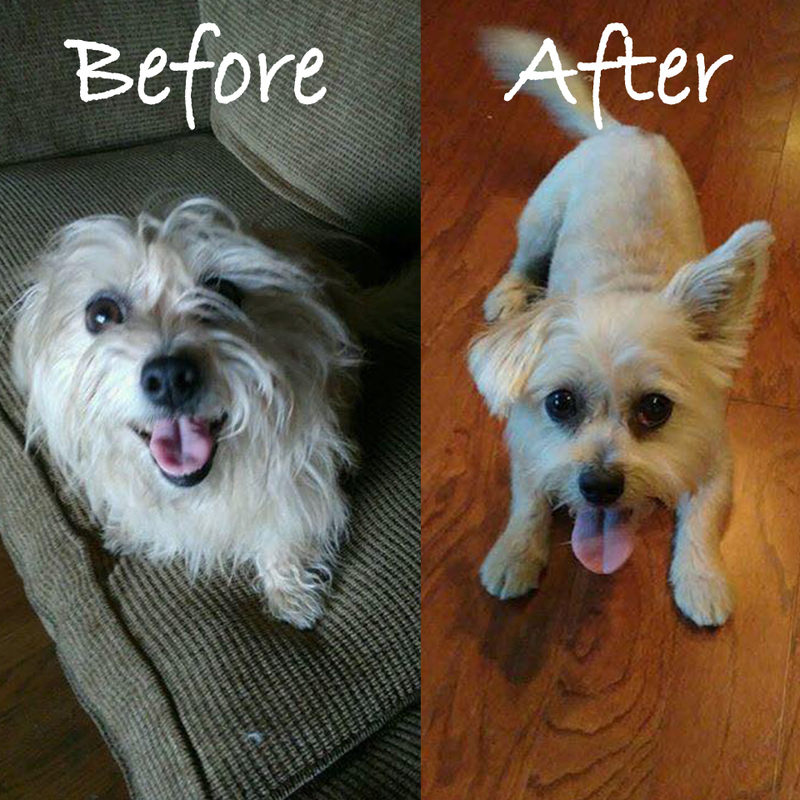 Clean teeth can’t be achieved if the only teeth cleaning is when your pet gets groomed. We also cannot brush diseased teeth or gums. If we have a pet with a diseased mouth on our grooming table we apply breath freshener and will recommend you see your veterinarian. Let the oral hygiene be a daily experience! Ask for one of our dental home hygiene kits. They even include a how to brush step by step guide so you can help your pet avoid dental problems like gingivitis. At your request, we can throw in the frills (bows and bandanas)! 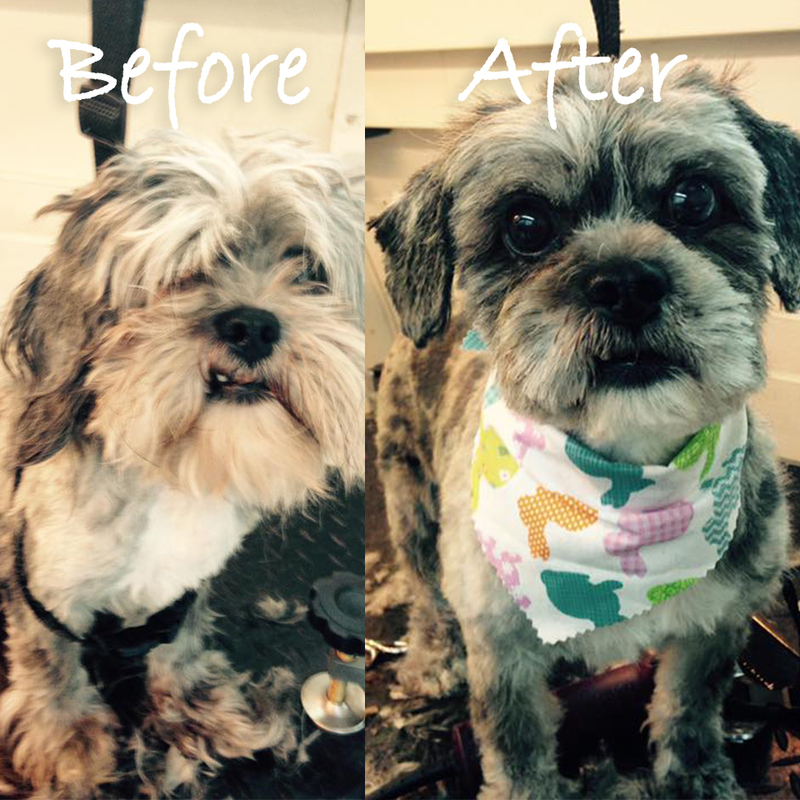 Every pet deserves to feel special, so the grooming ends with a nice grain-free treat safe for all pets. 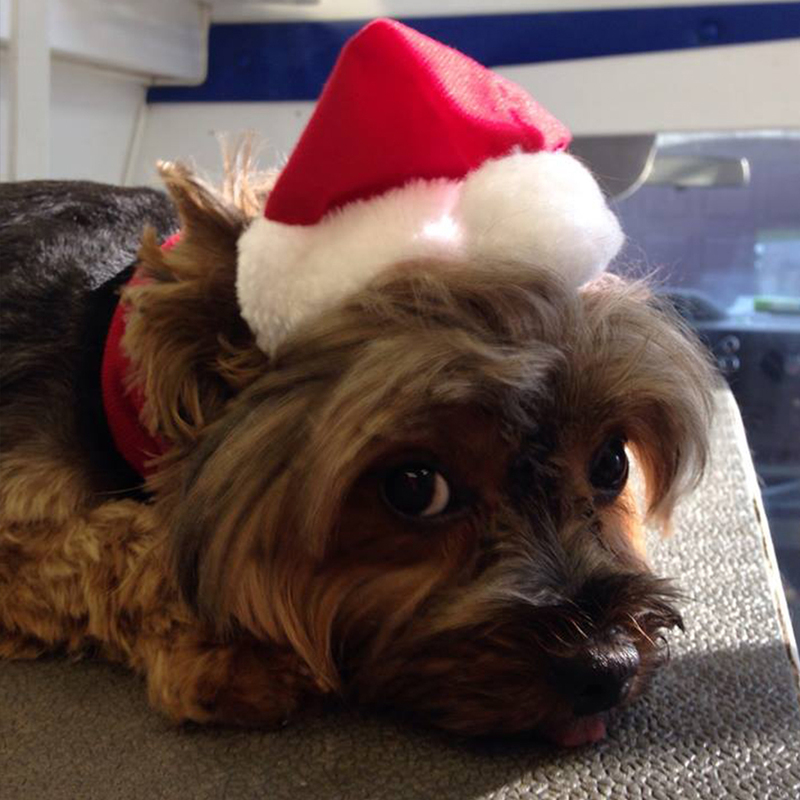 The groomers will present your renewed loved one with a little report card bringing to your attention any growths, warts, skin, ear, or dental problems they noticed along the way to pass on to your vet.